Locks, hinges and door hardware, especially on exterior doors, need lubrication and adjustment to operate properly. Frequent opening, closing and slamming can loosen hardware. Sagging of the door can cause excessive wear to occur. 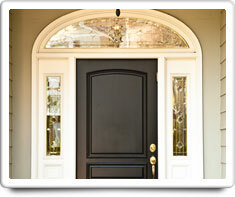 Doors and locks in your home include both exterior doorways and interior doorways. Exterior doors and locks provide security and keep out heat, cold and pests. And interior doors and locks provide privacy. Shown in the 'Routine Care' section are the recommended routine maintenance tasks for your doors & locks. The 'Q & A' section shows answers to common questions. And the 'Articles' section provides helpful articles about your doors & locks.